This project shows how you get the full view through the windows out to the patio. Note from the backdoor, you can see directly through the whole part of the yard. Also note the stained wood ceiling. 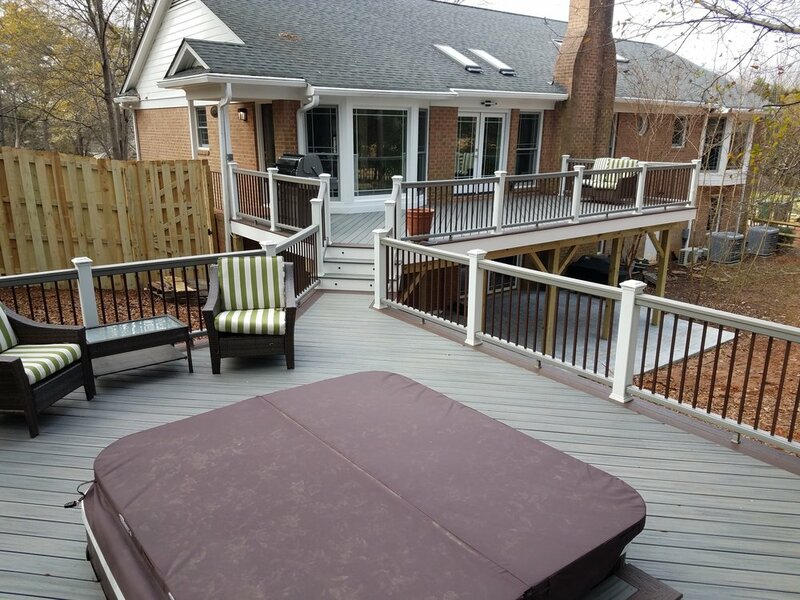 This is a beautiful second floor deck the drops down to a stone patio. Note the stone fireplace as well as seating area. These are photos taken during the build process before final landscaping and staining.